Unlike attorneys, we don't get paid unless you get paid and we report to Equifax where the delinquency will remain for seven years from the date the delinquency began. Saba and Associates can proudly state we have never had a client sued because of our actions. We always work within the limits of the law. We have an established quality reputation. Saba and Associates is unique. We understand the value of your property and neighborhood is a priority and the participation of all homeowners paying their dues is a necessity. Saba has the expertise to collect the dues your association needs to operate efficiently while treating your neighbors with dignity and respect. We utilize many resources to locate assets such as properties, places of employment, banking information etc. We help put your association dues in a priority mode rather than at the bottom of their bill paying priorities. We have been in the collection industry since 1975. We take the time to give your account personalized attention. We do not get paid unless you get paid. We ask that you not place accounts in collections if Bankruptcy has been filed. However, if they file after placement we will do the court filings that are necessary. We utilize an attorney that has nearly 35 years experience in the collection industry. We charge nothing to your organization if legal action becomes necessary. After obtaining a judgment we don't just "sit on it." We file liens, garnish bank accounts, and wage garnishment. Remember we do not get paid unless you get paid. After 30 days if "balance in full" has not been received we report the debt to "Equifax" credit reporting agency where it will remain on their credit history for seven years from the date the debt was incurred. Most attorneys do not have that capability and for many individuals this can be very motivational to pay the debt before the 30 days has lapsed. We do not "cream" your accounts. At Saba we believe every account is important to collect regardless of the amount or the effort it may take. We value "word of mouth" advertisement. We can provide you with "status reports" whenever you request one. 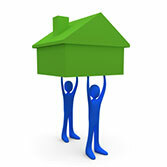 We have been the solution for many HOA's/COA's and look forward to satisfying all your collection needs. We are the solution you have been searching for. Saba Associates Collections has the experience and the expertise to collect the money your Homeowners Association needs to operate efficiently and effectively!